<p /> No doubt about it: Two heads really are better than one. The latest pair of noggins to collide? 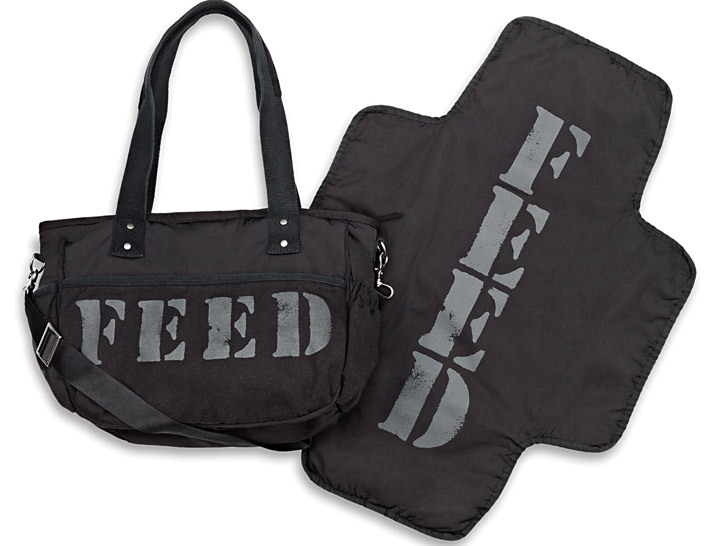 <a href="http://www.ecouterre.com/little-cupcake-bakeshop-opens-feed-projects-shop-in-shop-to-benefit-japan/">FEED Projects</a> and <a href="http://www.dkny.com/">Donna Karan New York</a>, two fashion powerhouses that are battling global hunger through a capsule collection of accessories for fall. 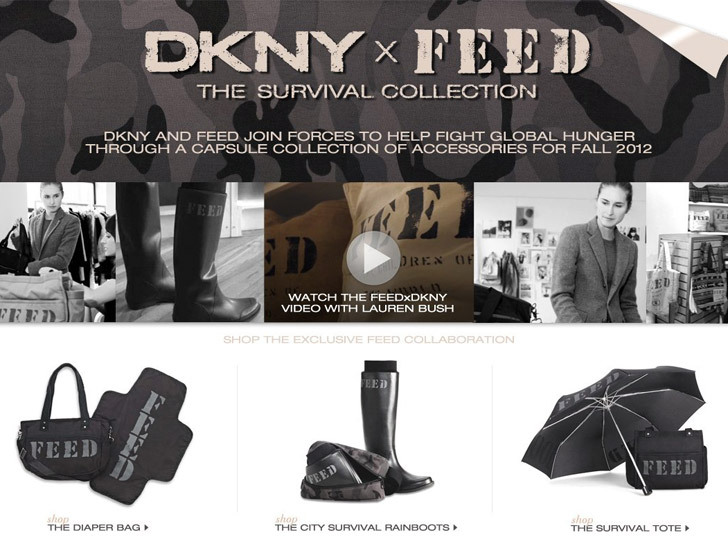 Keeping with FEED's philanthropic M.O, each <a href="http://www.ecouterre.com/feed-dkny-collaborate-on-survival-collection-to-fight-global-hunger/feed-dkny-survival-collection-3/?extend=1">diaper bag</a>, <a href="http://www.ecouterre.com/feed-dkny-collaborate-on-survival-collection-to-fight-global-hunger/feed-dkny-survival-collection-5/?extend=1">city survival tote</a>, and packable <a href="http://www.ecouterre.com/feed-dkny-collaborate-on-survival-collection-to-fight-global-hunger/feed-dkny-survival-collection-1/?extend=1">survival boot</a> features a number representing the exact donation you'll make to the <a href="http://www.wfp.org/">United Nations World Food Programme</a> when you buy that product. 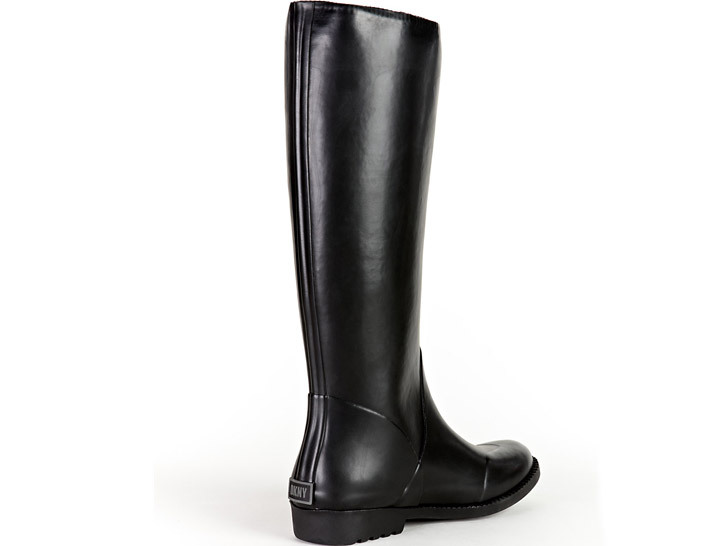 <p /> Made of 100 percent rubber <a href="http://www.dkny.com/shoes/shop-by-category/view-all/23321579/feed-city-survival-boots">city survival boot</a> ($115) folds into the included pouch. 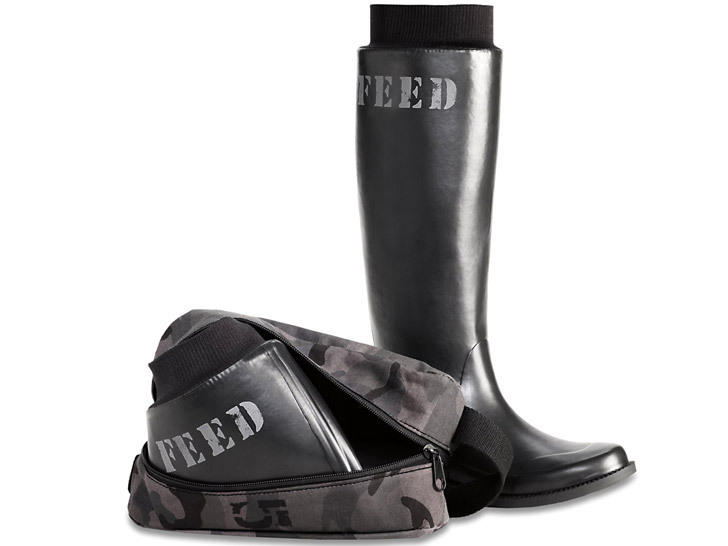 <p /> Proceeds from each pair provides 25 children with high-protein, high-energy, vitamin-enriched emergency food through the United Nations World Food Programme. 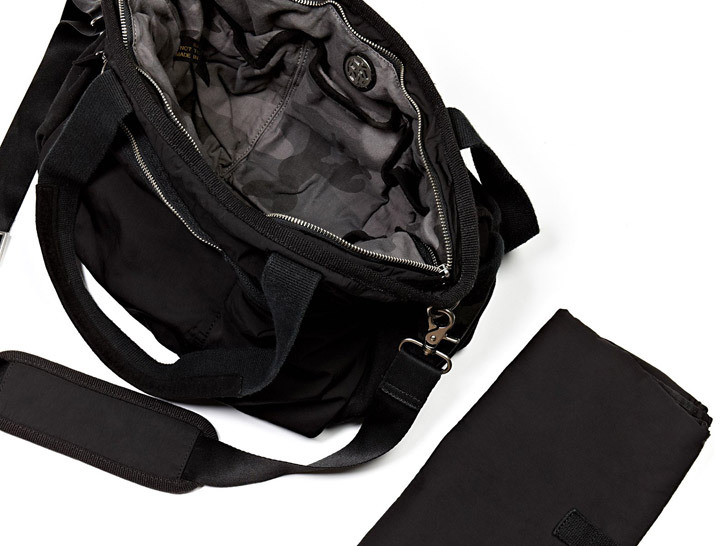 <p /> The <a href="http://www.dkny.com/bags/shop-by-shape/view-all/r3216501/feed-diaper-bag">DKNY x FEED diaper bag</a> ($220) includes a removable changing pad. <p /> Each purchase supplies one year's worth of micronutrient powder for a mother and child. Sprinkled over food, the powder helps stave off malnutrition, the underlying cause of roughly 11,000 daily deaths of children under five. 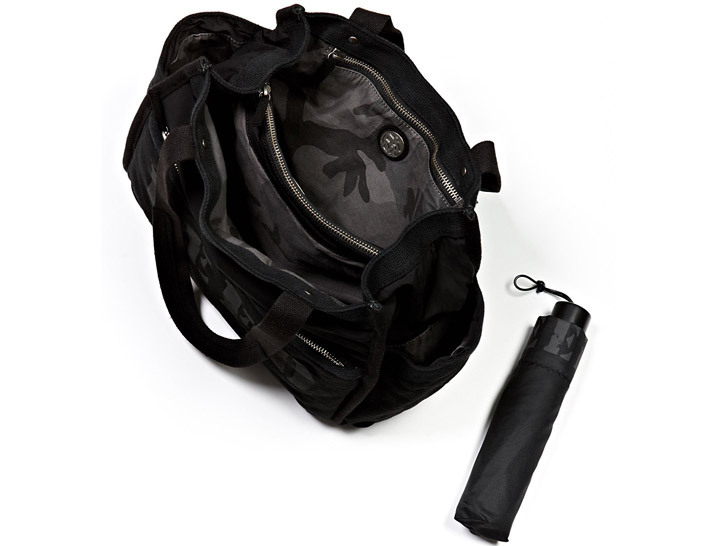 <p /> The <a href="http://www.dkny.com/bags/shop-by-shape/view-all/r3216401/feed-city-survival-tote-with-umbrella">city survival tote</a> ($220) comes with a compact travel umbrella. 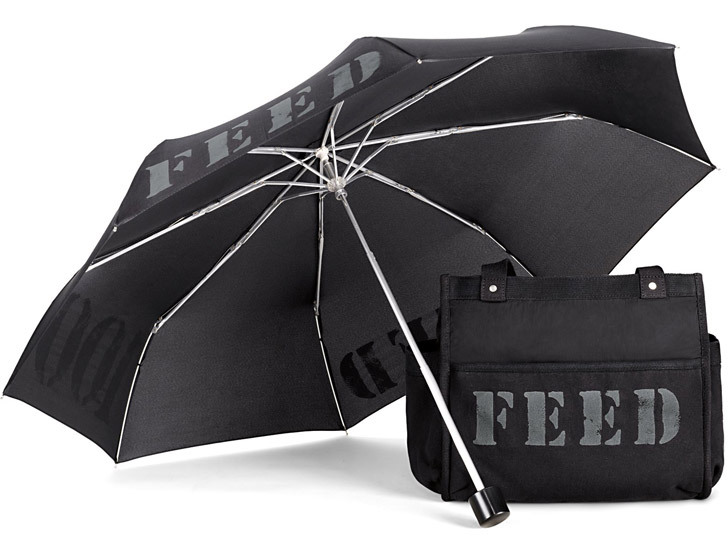 <p /> Your purchase will provide 100 children with emergency food to help give them the strength they need to survive a critical situation.